Today I’m going to finish-up my rant on ways to make your property stand out in the current Detroit house market. Click below to check out part one. I’ll pick up where I left off. Never, ever forget about the role emotions play in the buying decision when someone is considering your house. Same thing with renting, to a large degree. If you want to get “one-up” on the other houses out there your prospects are considering, don’t forget about landscaping. You don’t have to get fancy. 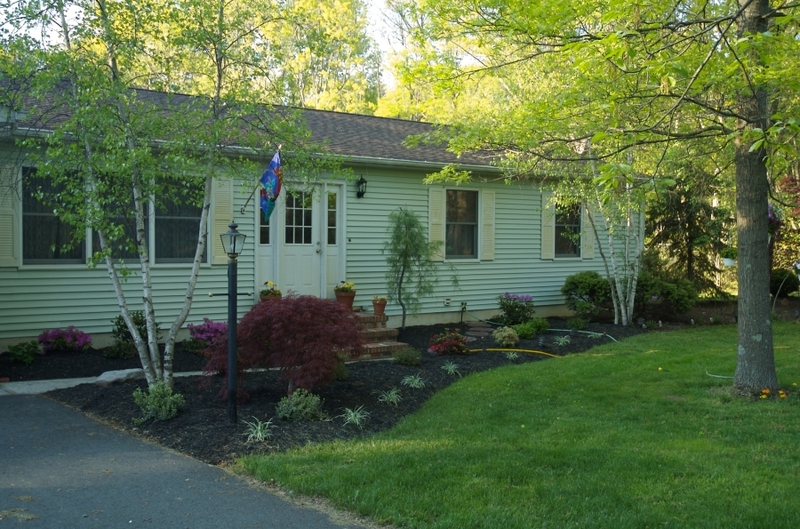 Small things, like trimming the hedges, planting some flowers, mowing the lawn, edging up the yard, and sweeping or blowing debris off the driveway and the walkway can go a long ways. A house with nice landscaping also gives-off the impression that the home has been well-kept, which is always a good thing. The condition of the carpet in your house shouldn’t be overlooked. The carpet makes a huge difference in the aura and feeling your house gives-off to a prospective buyer or renter. Giving the carpet a good cleaning shouldn’t be that expensive. If you don’t own a carpet cleaner yourself, you should be able to rent one from The Home Depot (and many other stores) for under $30. If you have portions of the carpet that are really worn out, you might be able to cover them up with area rugs. Note: If you’re about to sell the house, you may not want to put new carpet in it (unless it’s in absolute hideous condition). That’s because there’s a good chance that the new owner will want their own carpet. If you buy new carpet, there’s a good chance you’re wasting your money. So try to just clean it, if you can. Or throw some cheap carpet down, if you absolutely have to replace it. 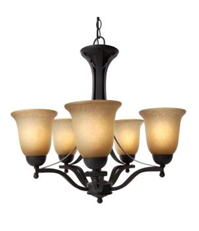 You can add inexpensive chandeliers to your home for less than $100. If you have recessed lights in your living room and/or dining rooms, you can spruce those rooms up a great deal by just adding some inexpensive chandelier lights in there. Depending on how fancy you want to get with them, you can get chandelier lights for as low as 60 bucks or so at Home Depot (no, I don’t get paid to keep saying the name of their store, although I should). Changing the door handle on the front door is one of the most overlooked home improvement tactics, in my opinion. I love doing this, because it’s yet another way to give your prospect a great impression of the home before they even enter it. All you have to do, is swap out the regular little door knob on that front door with a fancy handle and lock set. They’ll set you back at least $100, but the impression it makes could be worth it in the long run. Since we’re on the subject of doors, you might want to make that front door look a little better, too. Wood, or wood-looking doors, just has a more luxurious feel to them. The good news, is that you don’t have to buy an expensive wood door to bring that luxurious feel to it. Even if your front door is steel or metal, you can just add stain to it to make it look like wood. The combination of changing the door knob and staining the door can make a HUGE difference in the impression your home gives the prospective buyer before they even step foot in the house. So regardless of what your budget looks like, I’m sure it’s within your means to apply at least some of these tips to your house to make it more appealing and to hopefully help it sell faster. What other things can someone do to make their home more appealing with a limited budget? Leave a comment below!